It’s very peculiar, I don’t know what to make of it. Why go to the trouble of burying a porpoise in what looks like a grave? 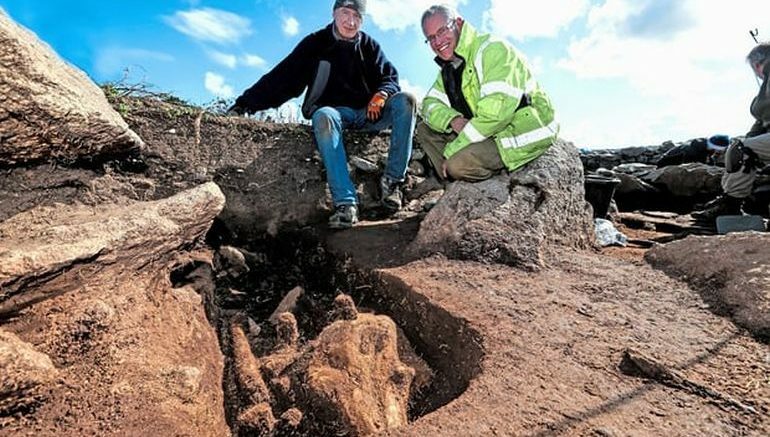 Pertaining to the latter part of the statement, it is the very nature of the presumed grave that has baffled the archaeologists involved in the project. To that end, the positioning of the animal is aligned along the east-west axis, which suggests the endorsement of the Christian tradition. Furthermore, the deliberately-made cuts of the cavity further allude to the possibility that this space was intended as a final resting place. Historically, the island of Chapelle Dom Hue was probably a religious sanctuary for medieval monks, and this scope initially inspired the researchers to search and locate unknown monk graves. 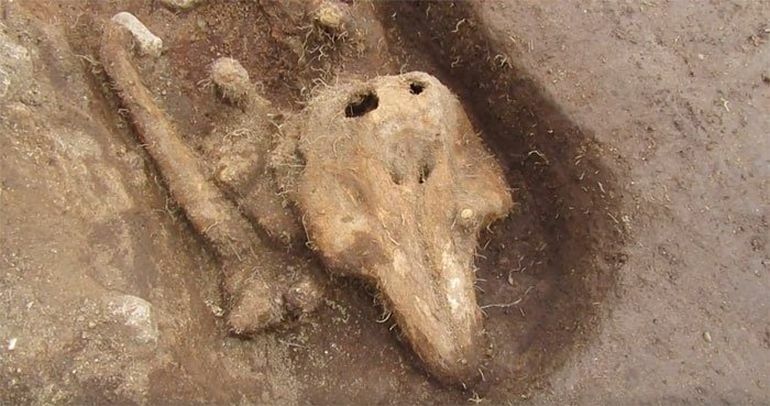 Drawn by the variation of the soil layer at a particular spot, they instead discovered the remains of the juvenile porpoise which was buried beside the graves of actual monks, possibly during the 14th century. If we were in a church and we found something like this, based on the shape, we would think it was a grave cut. That is what puzzles me. If they had eaten it or killed it for the blubber, why take the trouble to bury it? The other credible conjecture pertains to how the porpoise was killed and then salted for its preservation over a long time. And the monks then possibly forgot to tend to the preserved meat, may be due to an unforeseen event. But to supplement such an assumption, the alignment of the burial must be presumed to be a coincidence. The dolphin has a strong significance in Christianity but I’ve not come across anything like this before. It’s the slightly wacky kind of thing that you might get in the Iron Age but not in medieval times.